Today, traders are increasingly drifting towards forex due its enormous volatility and endless amount of trade set-ups that occur daily. 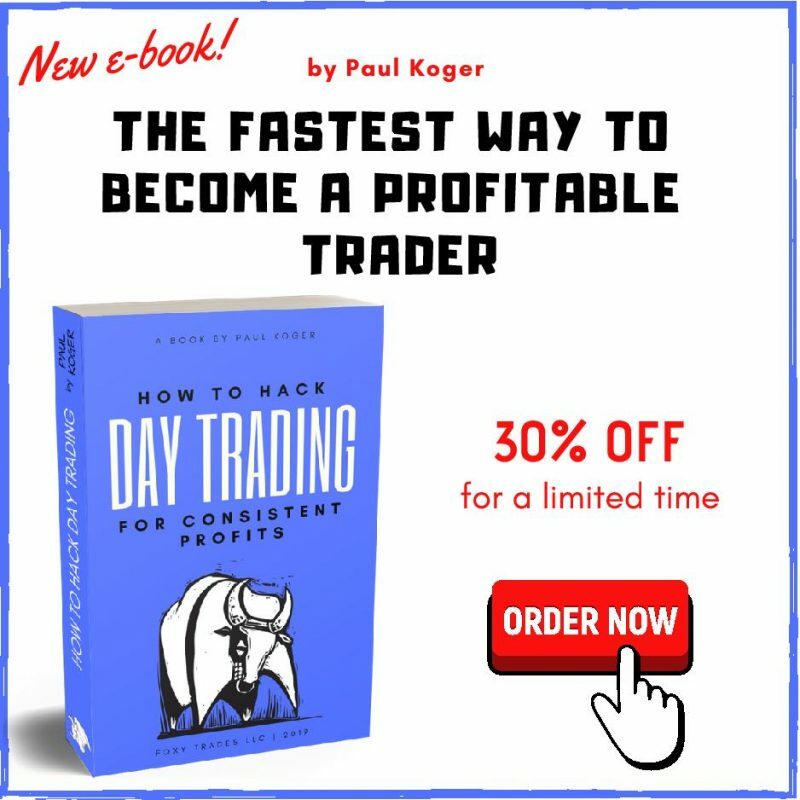 More and more people understand that to actually become a successful trader, you need to dedicate a significant amount of time to learn the craft in hopes of becoming profitable. A key element to profitable trading is a proper broker. With a proper broker, the learning curve can be shortened. Today I’m going over one of the most successful FX Brokers in the world called Instaforex. I’m going to cover if their massive success in the sector is based on solid grounds or on heavy marketing alone. We have taken the time to provide a detailed InstaForex review so you can decide if it is worth considering or if you should take your money elsewhere. InstaForex is a fast growing international forex broker based in Russia. They have been in the forex brokerage game since 2007. Its rapid growth is evident by the over 2 million traders on its database worldwide. On top of that, about 1000 traders create new trading accounts on the platform every day. InstaForex has over 250 offices in different parts of the world, most of them situated in Asia and Europe. However, because there is no regulation mentioned in the company and the fact that the company is situated in Russia, a country that doesn’t have the greatest reputation when it comes to financial services regulation, many still have a lot of questions than answers about it trading practices. InstaForex runs on the MetaTrader platform, which is considered the most popular trading platform. No wonder that many people are flocking to the platform to create accounts and trade daily. InstaForex platform comes with a user-friendly interface, which makes it a good option for both beginner and accustomed forex traders. InstaForex started on the MetaTrader 4 platform and upgraded to the MetaTrader 5 platform. In fact, it boasts as the first Forex Broker to upgrade to the MetaTrader 5 platform. The MetaTrader platform also caters for those who like to trade on the fly, thanks to the InstaForex mobile version. While the MetaTrader 4 platform is considered old and generic, it comes with handy analytical and charting tools that let you easily track your trading activities. InstaForex also comes with the WebTrader Platform, which allows for extensive modifications to match your trading approach. And for those who know nothing about Forex trading and just want to enjoy and copy other people’s trades, InstaForex comes with a software application called ForexCopy that makes that possible. InstaForex offers two major trading accounts (multifunctional tools) that allow just about any trader to trade on the international financial markets. These types of accounts can be differentiated by spreads, as well as commissions, and these are determined by the trader creating the account. Creating an Insta.Standard account means you will enter the forex trading market on standard conditions. For starters, it doesn’t offer any commissions, but traders are required to pay for fixed spreads. With this account, you gain access to just about any trading instrument available in the marketplace. Insta.Standard trading account is adapted to both new and experienced forex traders. The main upside to this account is that you get the chance to change up leverage anytime. You are also free to choose a deposit size that suits your budget. On top of all that, Insta. Standard account enables you to trade various forex, including MicroForex (requires at least $1 to $10 as deposit), Mini Forex (requires at least $100 as deposit), and standard Forex (requires at least $1000 as deposit). The reason why both new and experienced forex traders love Insta.Standard trading account is that its universal This means you can choose a deposit size that you are comfortable with. Plus, you’re free to change your trading position anytime. This trading account is characterized by lack of spreads. The lack of spreads also applies to the majority of trading instruments; which is why the ‘bid’ price is typically the same as the ‘ask’ price. 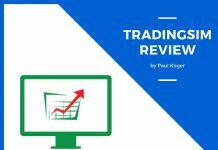 This type of trading account is adapted to beginner traders because they will not have to consider the spread when pending order usage manifests. The platform allows the pending order to be executed immediately when the price hits its value, as long as there are zero spreads. The platform also allows them to get to grips with the market because it uses a simple trading system. Experienced traders can also benefit from this account, as it has the same trade characteristics as the Insta.Standards. The accounts are adapted to beginner traders in the forex trading world who want to get more forex trading experience. With these accounts, you get the least deal size and you’re able to practice trading with zero deposit risk. The good thing about Cent trading accounts is that they have the same trading characteristics as Insta. Eurica and Insta.Standard forex trading accounts. InstaForex is a unique kind of company because it offers traders bonuses on sign-ups. As a trader, you’re eligible for two kinds of bonuses, namely: Fixed bonus and Welcome bonus. The Fixed bonuses range from $30, $110, $200, $1000, to $5000. The Welcome bonus, on the other hand, is 30% of the deposit amount. However, you can’t receive both bonuses with the same trading account. But if you have two separate accounts, you can qualify for both bonuses. The rule is that both Fixed and Welcome bonus can’t be deposited in the same account. For the Welcome bonus to be deposited in your account, you must fully register for the live trading account. Also, you must fill out the bonus receipt application form. The good thing is that the above-mentioned processes are easy and require little time investment. Upon completion of live account registration, you will be directed to choose the type of bonus. You can choose either Fixed Welcome Bonus or The Floating Welcome Bonus. This wallet system enables InstaForex traders to transfer money from their account to other traders’ accounts and vice versa on the same trading platform. The transfer of funds from one trader to another increases the functionality of the InstaForex platform. It’s easy and convenient to join the Instawallet system. It takes less time and offers you the opportunity to safeguard your funds. The Instawallet system is readily available but optional. After creating an Instawallet, you’ll need to activate it first before you can use it. The activation process happens in a matter of seconds. Your information in the Instawallet is utterly protected. Not even the recipient of your funds can get your Instawallet details. This is an innovative system that allows you to track and copy trades of successful forex traders. Ideally, it’s designed for those who don’t have forex trading skills or the time to monitor currency movements and take positions. With ForexCopy, you can view the stats of any trading process, including the successful traders’ chosen strategies, which are always available on the ForexCopy monitoring page. The awesome part about ForexCopy system is that it copies those trades automatically without any action on your part, allowing you to focus on trading. To access ForexCopy, you need to have an InstaForex account. You’ll then just need to activate the ForexCopy menu, which is available on your trader cabinet. PAAM is an acronym for Percentage Asset Management Module. It’s a software application that manages collective investments. For example, if you are a trader at InstaForex, you can accept investments from other traders into your account or send money to other traders’ accounts and become a shareholder in those accounts. Investors take advantage of InstaForex PAAM system to invest their funds in an account managed by a trader with the aim of getting a share of the profits from trading deals made by the trader who manages the account. PAAM registration requires that you have an InstaForex account. You’ll then need to activate the PAAM functionality on the InstaForex menu. You can then choose whether you want to be a trader or an investor. After registration, you become a member of the InstaForex PAAM system. This software lets you see any currency fluctuations and keeps you updated on the happenings on the market. You have to install this software and access it through your desktop. Forex traders love this tool as it provides them with accurate information on currency pair rate movement in order to take winning positions. The downside to this software is that it’s not compatible with Windows. As an InstaForex trader, you are able to access IFX Option Trade. It’s a software application that gives you a huge range of possibilities with regard to options trading and makes it easy and convenient to take trading positions. With this software application, you can sell option, as well as monitor trade history. As an InstaForex trader, you can access many educational resources to notch up your forex trading skills. Resources available on the platform are courses, training videos, including a program known as Forex Trainer that lets you test your trading strategies on the trading platform. You can watch replays of your trades courtesy of the trading simulator. The trading simulator also offers you real-time feedback on your profitability. There are multiple payment options available on InstaForex, such as credit and debit cards, wire transfer, Neteller, Skrill, and more. However, InstaForex only allows you to use one payment method when depositing or withdrawing your funds. You can trade on this platform using Bitcoins without paying additional fees. Solid and efficient customer service and support systems are critical to the upward growth of any Forex trading company. On that note, InstaForex takes customer care and support seriously. They offer 24/7 customer service and support that resonates with European and Asian markets. They have a strong customer service and support team that speaks different languages to cater to the various groups of clients all over the world. The different forms of customer services and support systems offered by InstaForex include phone support, email support, and live chat support. There are various phone numbers dedicated to different departments to ensure the customer service process is as smooth as possible. With InstaForex, you are not just limited to one platform. There are two main platforms available. While it’s a traditional platform, Meta Trader 4 is easy to use, which makes it the best option for both beginner and budding forex traders. It’s also compatible with both desktop and mobile. Another trading platform on InstaForex is the WebTrader platform. Most traders like this platform because it offers high levels of customization. You can customize it to align with your trading approach. InstaForex comes with a lot of handy tutorials and videos resources to notch up your forex trading skills. It also comes with a trading simulator that allows you to watch currency movements in real time. InstaForex offers top-notch customer service and support systems, such as phone support, email support, Skype, as well as live chat support. However, the live chat support is not available on weekends. The platform allows you to trade with different assets and foreign currencies, such as stocks, commodities, and indices. InstaForex comes with two main kinds of bonuses: Fixed bonuses that range from $30 to $5000 on the first deposit and Welcome Bonus, which is 30% of the first deposit amount. Some discounts go up to 250% of the deposit amount. The trading leverage allows you to continue trading even when your equity has dwindled. This allows you to grow your account, as well as make decent profits off the market. At InstaForex, you can deposit as low as $1, which makes the platform ideal for those that are just starting out on forex trading. Although this doesn’t happen on a daily basis, some clients have complained about slow implementation of withdrawal requests. Many customers have complained that the fonts are difficult to read. The website is also cluttered with too much text that it can be overwhelming to read through it. If you read through the content on the platform, you’ll find that little regard is given to grammar. There are a lot of grammatical mistakes on the platform. If you try to search for information about regulation on the InstaForex platform, you will come empty-handed. And the fact that the forex broker is located in Russia, a country known for poor financial regulations, there is a reason to get worried as a trader. InstaForex is a decent forex company that emphasises on providing a good service to their customers. With the huge array of innovative, useful features and bonuses, I can’t name too many competitors that offer the same amount of value to their customers. On top of that, InstaForex lets you trade anywhere and anytime, whether on vacation, in a meeting or when meeting friends, thanks to the InstaForex mobile trader app. All you need is an internet connection. 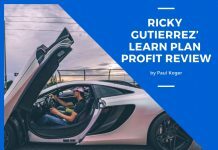 This is the go-to forex trading platform for both new and experienced traders that want to notch up their forex trading skills and make a decent living off trading currencies. I like Expertoption trading. Money deduces, and the support service they have is quite adequate. 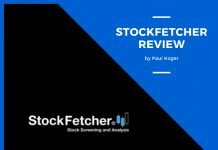 Penny Stock Alerts Services – Do Any of Them Work?